Home / Insights / Blogs / What is MongoDB? In this blog post, I’ll provide an overview of MongoDB and some of its key features. MongoDB is an open-source document database that provides high performance, high availability, and automatic scaling. Its document-oriented data model makes it easier to split up data across multiple servers. MongoDB automatically takes care of balancing data and load across a cluster, redistributing documents automatically, and routing user requests to the correct machines. Semi-structured data is data that does not conform with the formal structure of data. The semi-structured model is a database model where there is no separation between the data and the schema. A document-oriented database is software designed for storing and retrieving information in the form of semi-structured data, also known as documents. It replaces the concept of a “row.” By allowing embedded documents and arrays, the document-oriented approach makes it possible to represent complex hierarchical relationships with a single record. 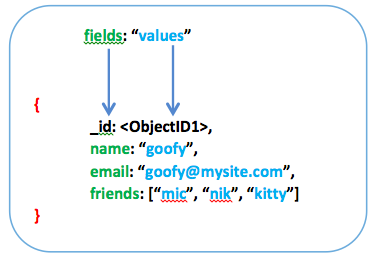 A record in MongoDB is a document, which is a data structure composed of field and value pairs. The values of the fields may include other documents, arrays, and arrays of documents (a group of documents is a collection, such as a table in RDBMS). BSON is a binary-encoded serialization of JSON-like documents and is designed to be lightweight, traversable, and efficient. BSON, like JSON, supports the embedding of objects and arrays within other objects and arrays. MongoDB uses BSON as the data storage and network transfer format for its documents. Replication is the practice of keeping identical copies of data on multiple servers to keep applications running and data safe. There are two set-up designs within MongoDB: a Replica Set with Replication Cluster and a Replica Set with Arbiter. All replica set members send heartbeats (pings) to each other every two seconds. If a heartbeat does not return within ten seconds, the other servers mark the unresponsive server as inaccessible. Replica Set with Replication Cluster: A cluster of MongoDB servers that implements master-subordinate replication for automated failover. When the primary server is unavailable, it triggers an election for one of the remaining secondary servers to act as the new primary server. 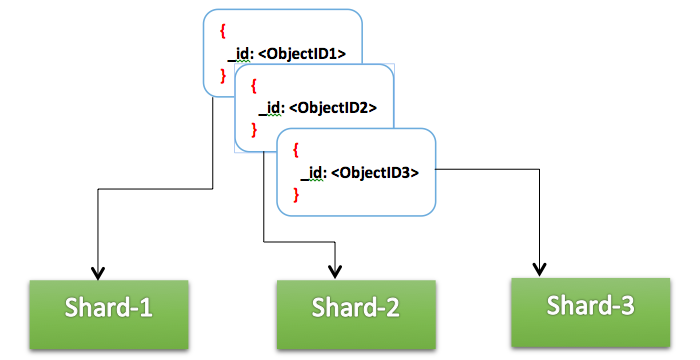 MongoDB’s sharding is the ability to break up a collection in to subsets of data to store them across multiple shards. This allows the application to grow beyond the resource limits of a standalone server or replica set. 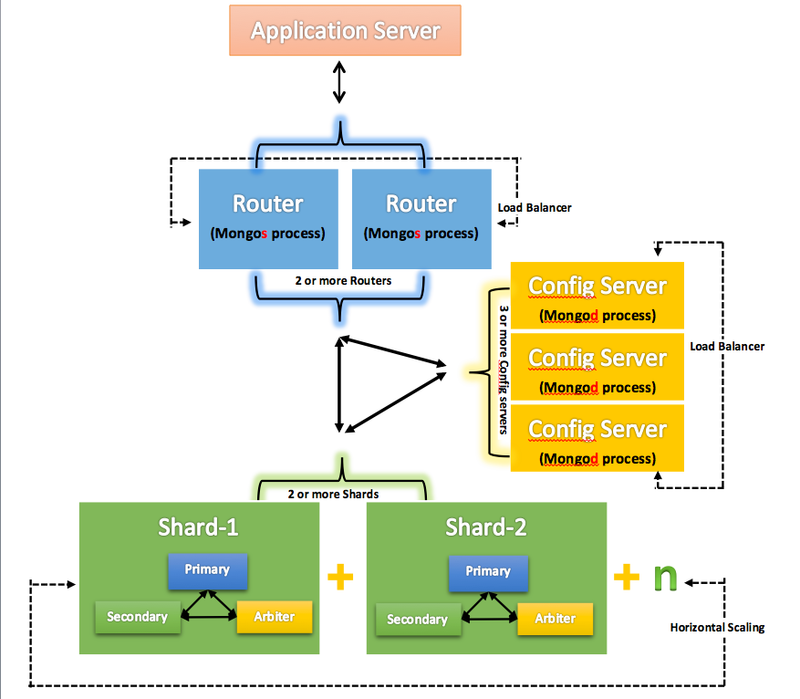 The shard provides the ability to partition the data and store it across multiple servers. This increases the hardware capacity of the cluster, meaning that resources are not limited to a single machine. Replication, on the other hand, is a duplicate copy of the data in full to be used in the event of a hardware failure. Authentication is the process of proving the identity of a user. Use the following script to create two users, one with root role permissions and one with readwrite role permissions. The root role user will hold top level permissions in MongoDB, while the readwrite role permissions allow the user to perform CRUD on collections. 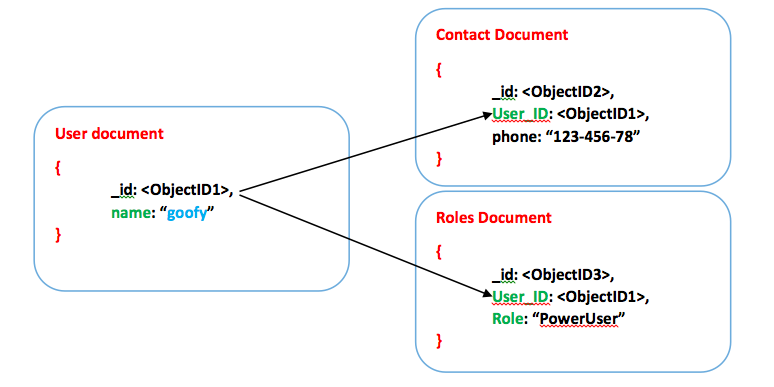 For more details on built-in roles in Mongo, visit the official reference manual. MongoDB provides a web interface that exposes diagnostic and monitoring information on a simple webpage. The web interface is available at the 28017 port: http://IP-Address:28017. If the Mongod process is not running on its default port, add 1000 in the Mongod process port. MongoDB drivers for .net can be downloaded here. Below is the basic sample C# code, which will allow interaction with MongoDB. This code will enable users to read a Mongo document from a collection, as well as write to the Mongo collection itself. Anshul Agarwal has been a Module Lead for 3Pillar Global for over 4 years, and has been a Microsoft technologies consultant for over 10 years. He has experience in database designing, as well as in creating web-based solutions using C#, ASP.NET, WCF, JQuery, SQL Server, MSMQ, Service Broker, and SSIS. AT 3Pillar, he primarily writes queries, troubleshoots database-related issues, optimizes and tunes database performance, installing and patching on Linux, querying MongoDB/Redis, and creating reports on application data using Splunk. His hobbies include doing research and development to provide better solutions, and posting his own recipes, especially for Chinese food.